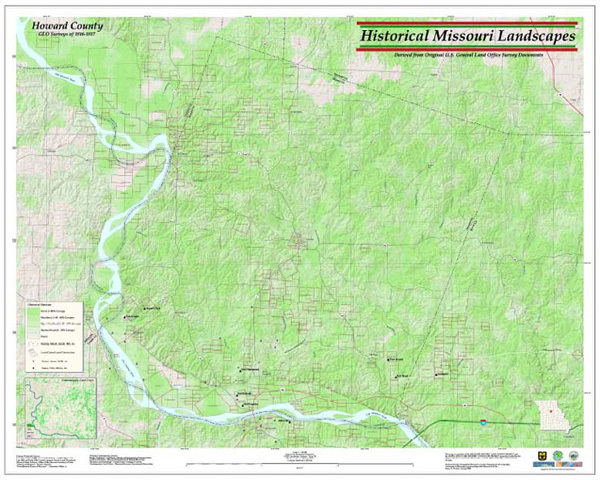 The Missouri Original GLO Survey Notes Project. The field notes of the rectangular land survey of U.S. General Land Office (GLO) form the most comprehensive, detailed record of the nature of the land surface just before heavy settlement began in the nineteenth century. With a grid cell covering virtually every square mile of the public domain, they form a systematic collection of reasonably objective information obtainable from no other source. Although the survey was conducted to facilitate the alienation of the public domain into private ownership, the field notes of the survey now stand as a historical document of major proportion. Since 1993, the Geographic Resources Center has been active in building datasets for test regions of Missouri as well as investigating and testing different methodologies for analyzing and interpreting the data provided by the original notes. This year the GRC is proceeding to expand the project to the digitization of field notes for the Missouri River Corridor in coordination with the offices of the Missouri State Archives and the Missouri Secretary of State as part of Missouri’s contribution to the Lewis and Clark Bicentennial celebration. The GRC will continue on to completing the data entry and analysis for the entire state in the next few years.